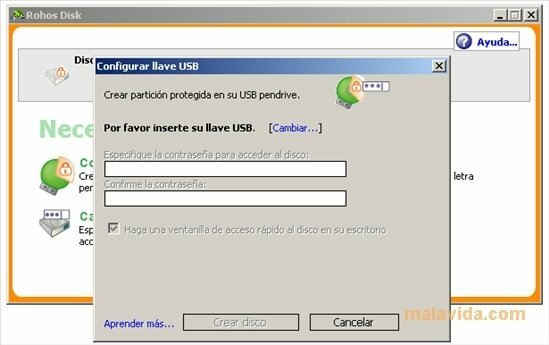 When USB pendrives appeared, they made it much easier for us to be able to transport information from one place to another. The only problem about this, is that it also implied the small risk of losing the pendrive with all the data it contains. In many cases this won't be a problem, if the data contained is of no importance. But on other occasions this data could be important, or put us in a very awkward situation due to the data. Rohos Mini Drive offers us an interesting alternative, so that nobody except the owner can access the data stored on a pendrive. 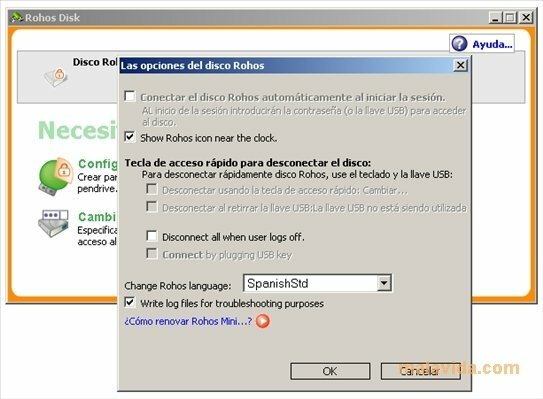 When we launch Rohos Mini Drive, the first thing the application does is ask us to indicate where the USB device is (the unit's letter) and the password that we want to use for the device. 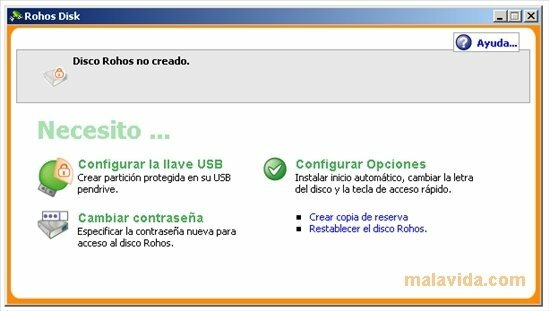 Once we have indicated both these details, Rohos Mini Dive will create a virtual unit inside the pendrive, that will always be ciphered, and that will only be able to be seen with the Rohos Mini Browser, software that we can launch from the pendrive, no matter where we are. We'll even have the possibility to access a virtual keyboard in case we suspect that our password may be stored by a keylogger. The encryption algorithm isn't the most secure, but it will be more than enough for the majority of users.